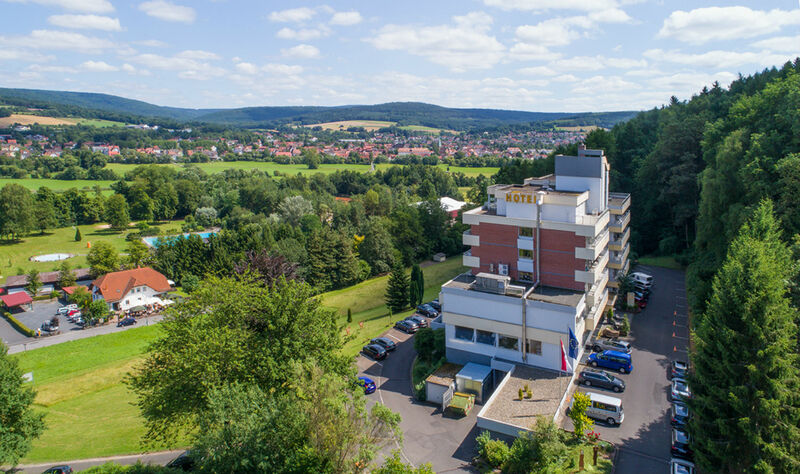 The family run private Hotel “Landhotel Betz” impresses its Visitors with a panoramic view and a quiet location. Relax on the hotel terrace while admiring the scenic location or get spoiled in the Spa which offers an indoor pool and a sauna. The Hotel has spacious rooms with bright modern furniture. Various banquet rooms are available for events, seminars or celebrations. Rich breakfast and varied lunch and dinner options are served in the hotel restaurant. Here you can enjoy regional, delicious food. Guests are also welcomed in the country-style “Schäferstube” bar or in the panoramic lobby. All 65 rooms offer a modern and stylish interior and are comfortably furnished. 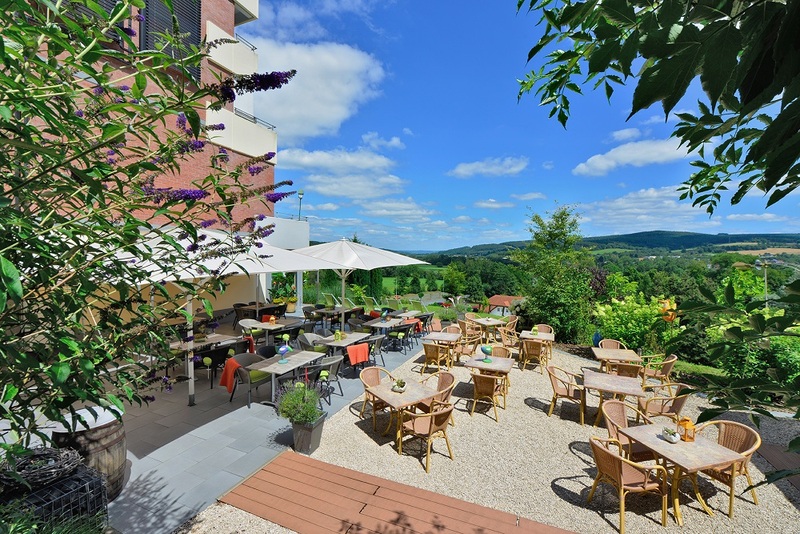 The fantastic view to the Spessart is a highlight for all guests of the hotel. The rooms are barrier-free, provide a balcony, safe, phone, WiFi and shower with toilet and hairdryer. A lift is also available. The hotel offers different categories of single, double or twin bed rooms, from standard to comfort with valley or forest view. Bad Soden is located in one of the most beautiful regions of Hessen. It has excellent connections to public transportation and connects directly to the highway A66. To conclude the center of the City is only a 10 minute walking distance from the hotel itself.